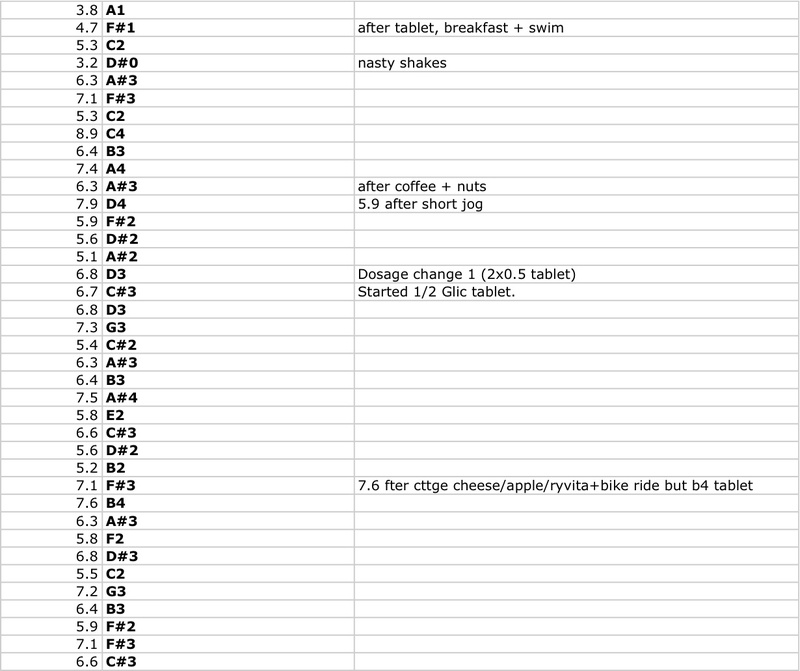 These diabetes self-test readings of my blood sugar levels form the autobiographical basis of a new work entitled Glucose for solo piano. 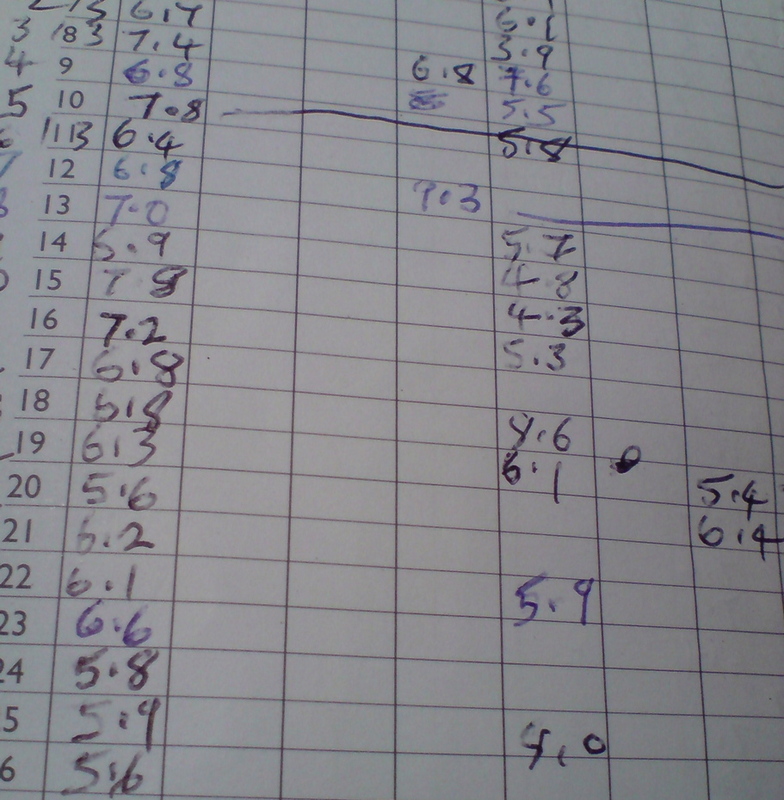 The work comprises a collection of preludes and fugues constructed around readings recorded in my diabetes logbooks. The compositional process involves mapping these values, which range between 2.6 and 10.6, onto the piano keyboard to generate musical patterns and motifs. 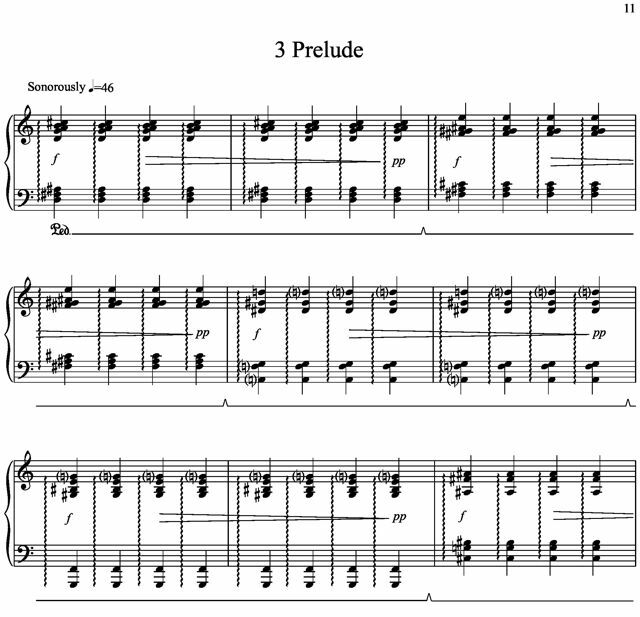 In Prelude No. 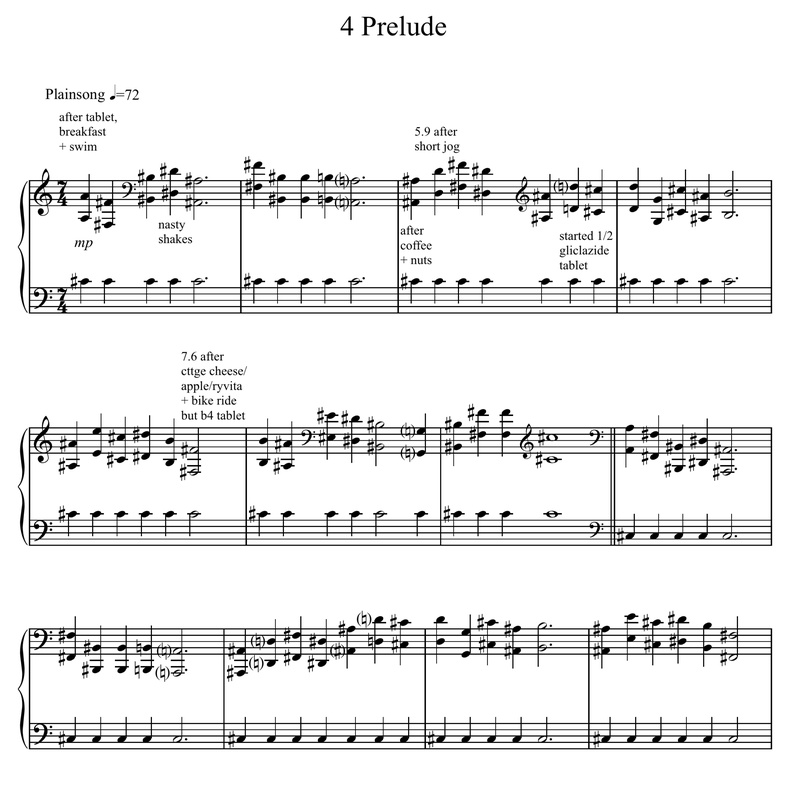 4 the median reading of 5.9 (which translates as C#3 on the piano keyboard) is used as a pedal or “fulcrum” around which a plainsong-like melody moves. The melody is derived from readings 224-261 shown on the chart below. In Prelude No. 3 multiple readings taken over days, weeks and months, co-mingle with varying degrees of sweetness. Fugue No. 1 relaxes some of the “rules” adopted in Prelude 1 below. The sequence of notes (readings) remains intact but not their radical distribution across the piano keyboard, resulting in a more ‘contained’, if not melodic, contour. 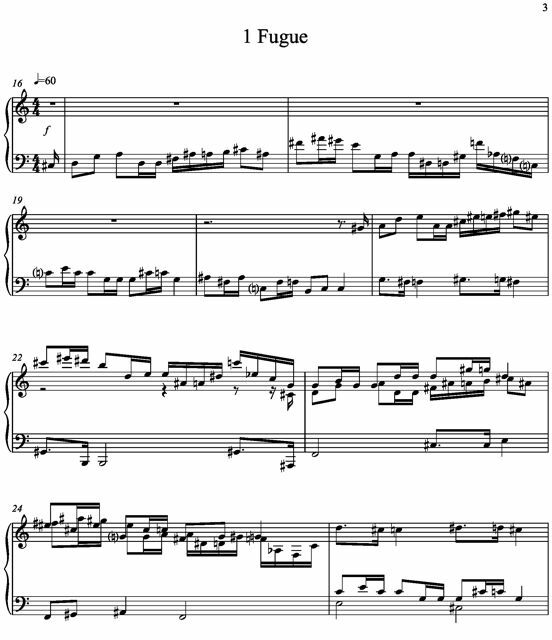 This fugue uses the first 45 test readings from my logbook, the music’s “argument” unfolding through the various transpositions and permutations associated with the fugue form. Prelude No. 1 presents the first 68 readings as discrete note events. 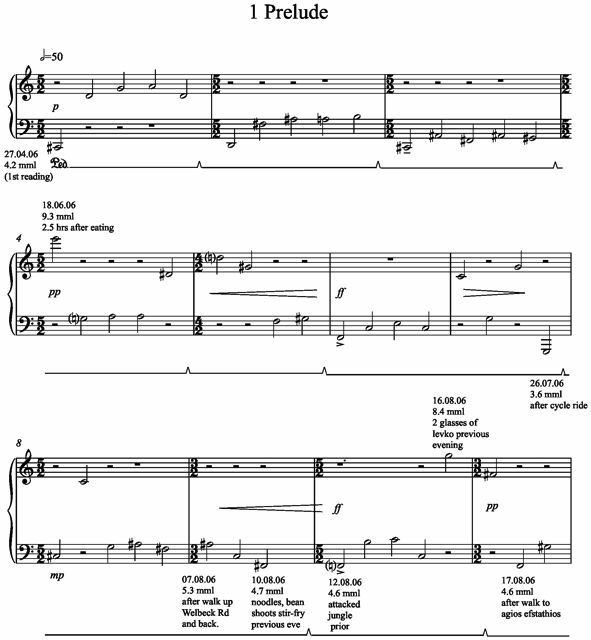 The result is a simple processional in which each note represents a lancet scratch and the sampling of a dot of blood. 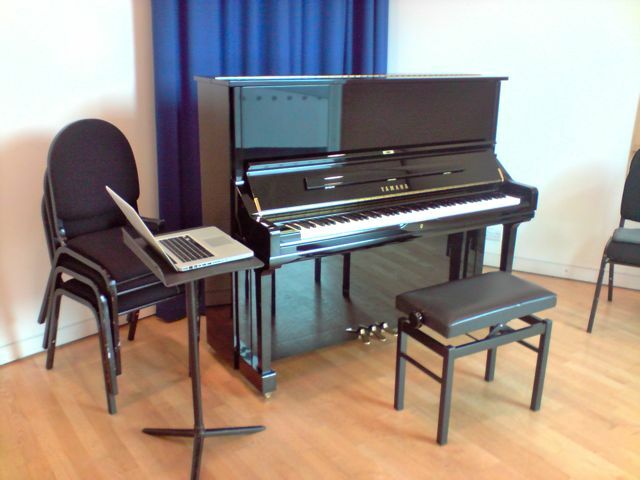 The pitch of each note (its height/position relative to the piano’s 88 keys) indicates the amount of glucose detected. 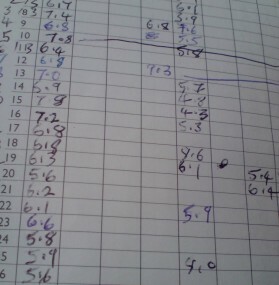 I’ve annotated the score here and there with comments made at the time of measurement, such as “after cycle ride” and “noodles, bean shoots stir-fry previous eve”. I’ve set up shop in Room C22 of the International Music Centre, The Sage, Gateshead in an attempt to get to grips with the piece. Part of the compositional challenge is to familiarise myself with and, to some extent, inhabit the note sequences generated by the numbers, which can often seem alien. I’ve settled on a ‘preludes and fugues’ format. This gives considerable scope for working the material and enough latitude to explore its potential as a means of narrating my experience of the condition.